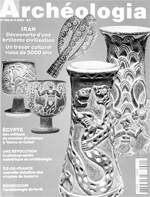 PanARMENIAN.Net - Unique discoveries revealed as a result of excavations at Shengavit (4000-3000 B.C.) confirm that Armenia is the motherland of metallurgy, jeweler’s art, wine-making and horse breeding. A group of archaeologists studying the ancient city concluded that 4000-3000 B.C. Armenia was a highly developed state with exclusive culture. 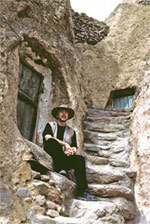 The excavations are carried out by an Armenian-American archaeological expedition. Director of the Scientific and Research Institute of Historical and Cultural Heritage of the RA Ministry of Culture Simonyan said that for example, the glass beads discovered at the territory of Shengavit are of a higher quality than the Egypt samples. IT'S the world's oldest shoe. The perfectly preserved 5,500-year-old footwear was found under the floor of a cave by an international team of researchers led by Irish academic Dr Ron Pinhasi. The leather shoe, found in Armenia, dates back to around 3,500 BC. It is made of a single piece of cow hide and was shaped to fit the wearer's foot. 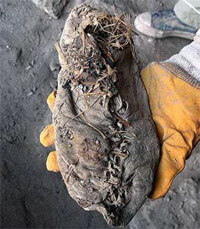 When excavated, the shoe was found to contain grass, but archaeologists are uncertain as to whether this was to keep the foot warm or to maintain the shape of the shoe. The stable, cool and dry conditions in the cave resulted in exceptional preservation of the various objects that were found, which included large containers, many of which held well-preserved wheat and barley, apricots and other edible plants. The preservation was also helped by the fact that the floor of the cave was covered by a thick layer of sheep dung, which acted as a solid seal over the objects. Archeological excavations in Jiroft led to the discovery of several objects belonging to the fourth millennium BC, a time that goes beyond the age of civilization in Mesopotamia. Tehran, 26 January 2006 (CHN) -- Latest archeological excavations in Jiroft, known as the hidden paradise of world archeologists, resulted in the discovery of a bronze statue depicting the head of goat which dates back to the third millennium BC. This statue was found in the historical cemetery of Jirof where recent excavations in the lower layers of this cemetery revealed that the history of the Halil Rud region dates back to the fourth millennium BC, a time that goes well beyond the age of civilization in Mesopotamia. But different folk have different views . . . The snow-covered dome of the Mountain of God, shrouded in clouds, towered above the old Mongol village of Kandovan, known locally as 'the honeycomb'. I had finally reached the volcanic peak where, according to the prophet Ezekiel, God looked down from his lofty (*can I have this back as 'lofty throne' is another term for God's mountain*?) throne onto the earthly paradise of Adam and Eve. The air was clear and sharp at ten thousand feet above sea level as the long Iranian winter of 1996 began to give way to the spring thaw – and I was feeling on top of the world. In the previous article I reported to you on a series of survey expeditions into Egypt's vast desert wilderness in search of prehistoric rock art from before the time of the pharaohs. I can now reveal a stunning new discovery, made by the Followers of Horus Eastern Desert Survey, which throws fresh light on the mysterious people who carved those rock art images over 5000 years ago. 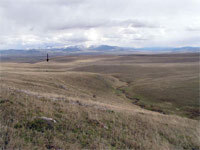 Dashtadem-3, discovered in 2004, is the only open-air Acheulian site in situ in the Caucasus. The site is located 25km northwest from the town of Stepanavan (1902 m asl). In 2004–2006 an area of 5x6m was excavated to a depth of 1m. The sediments are represented by loam soil which rests on a bedrock of porforitic andesite. The bedrock is situated from 0m to 1m beneath modern ground surface. The artifacts were not redeposited but rather partly displaced during the process of soil formation and erosion of the andesite bedrock. Organic remains were not found. The excavated area yielded 2,464 Late Acheulian artifacts from hyalo-dacite. These consist of 81 cores and 262 tools, including 49 handaxes, 8 Levallois points, 21 scrapers, 13 end-scrapers, 52 backed knives, 66 beak-like pieces, and 17 notched pieces. The typological assemblage of Dashtadem-3 can be identified as Late Acheulian. Languages, like genes, provide vital clues about human history. The origin of the Indo-European language family is “the most intensively studied, yet still most recalcitrant, problem of historical linguistics”. Numerous genetic studies of Indo-European origin shave also produced in conclusive results. 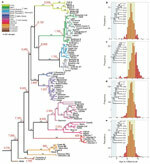 Here we analyse linguistic data using computational methods derived from evolution arybiology. south, respectively. Dead languages are shown in italics; languages that left no literary remains are enclosed in brackets. This exploration is about Indo-European origins of many biblical theonyms: Yahwe (Jehovah), Noah etc. Origin Yahwe and Zeus names from Boreal (North-Nostratic) word-root *deiuo/Dieuo (Day, Sky). In given clause mainly, it is investigated a possible communication of the biblical names Jehovah and Noah with the Indo-European forms *Dieuo - "the Supreme God, personyfied the sky" (see Classical Greek Zeus). Also it is investigated *naHu - "a boat, a vessel" (see “navigation", “navigator”). В данной статье, главным образом, исследуется возможная связь библейских имен Яхве и Ной с индоевропейскими формами *Dieuo «верховный бог, персонифицирующий небо» (см. др.-гр. Zeus «Зевс») и *naHu - «лодка, судно» (см. лат. navigation «кораблевождение», navigator «мореход»), соответственно. One of the most important and mysterious subjects that has remained from antiquity to this day has been the Flood of Noah, along with the views of where the Ark and those in it came to rest. We ? nd various views about the Flood of Noah not only in the holy books representing the three great religions (Lewis 1984: 224), but also in almost all the important cultures of antiquity, in ancient sources (Montgomery 1974) and modern research about the Flood (Brown 2008). Throughout various time periods, research has been done regarding the location of the boat and the search for its remains.